The disgraceful treatment of the EP Kings contracted players cannot go unchallenged. It is common knowledge that the players have not been paid since the end of September and that payment of their salaries prior to this has been haphazard and unreliable. These are young men with young families who week after week, month after month have put their bodies on the line for our Province. This heartless treatment of professional sportsmen who have a very brief window period to play professional sport is a disgrace. 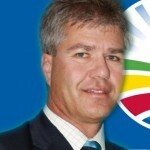 The Democratic Alliance is in possession of recent letters to the players and has kept them confidential although these letters have recently surfaced on social media. In a letter dated 15 December 2015, the players (in a shameful, two sentence letter from Cheeky Watson) are told they (the Franchise) do not have any further information regarding salaries. Further to this letter, another letter from Watson dated 18th December informs a number of players that their contracts are to be terminated (7 days before Christmas!) and with no regard to outstanding duration thereof. MEC Pemmy Majodina recently paid a fleeting visit to the EP Kings management in an apparent endeavour to find solutions to the funding impasse and the absence of publicized financial statements. The Department of Sport certainly does not have the required budget to bail the union out and the prospects of her securing the necessary sponsorship are remote. While her intentions are good, this is not going to solve the short term problem of young families being left destitute during the festive season. I am sure that the players are taking legal advice and I hope that they are successful but legal cases take time and lots of money, which they do not have! As the South African Rugby Union (SARU) has recently taken control of the Southern Kings Franchise, I would like to appeal to them to immediately assist the stricken players. It is very clear that no financial or humanitarian aid will be forthcoming from the author (Cheeky Watson) of the aforementioned letters. Hi Ross; Absolutely agree , but then cheeky Watson and his son Luke have been palying the ANC lakey’s for decades and have I’m sure, followed the same route of corruption , unaccountabilty and mismanagement and have protection high up in Luthuli House. Ticket to the gravy train. !